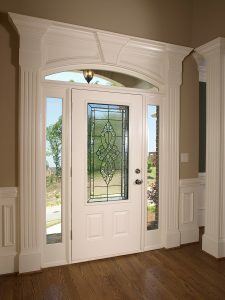 If you are browsing exterior doors for your home in the Denver, Colorado, area, consider hiring the trusted pros at K&H Home Solutions. We offer durable steel and fiberglass doors that are engineered to perform and built to last. Our expert installers will use the utmost care and precision when installing your new door so that it performs up to the highest standards of energy efficiency and longevity. Plus, our exterior doors are made of either durable steel or fiberglass and can stand up to the excess UV rays and constant freeze thaw cycles that are common in the Denver, CO, area without chipping, cracking, warping, or otherwise breaking down. And, to make sure you’re covered, your door will come backed by a lifetime material warranty from the manufacturer. To get started designing the perfect entryway for your home, contact K&H Home Solutions today, the premier source for exterior doors in the Denver, CO, area.